ARTIST DENTON LUND--you may not use this artist's work without his permission. The old Indian teaching was that is is wrong to tear loose from its place on the earth anything that may be growing there. It may be cut off, but it should not be uprooted. The trees and the grass have spirits. 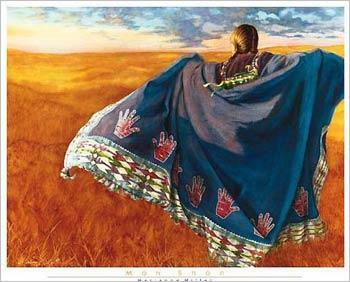 "The Great Spirit is in all things. He is in the air we breathe. The Great Spirit is our Father, but the Earth is our Mother. She nourishes us.....That which we put into the ground she returns to us." Trying to get a "Native American Indian" Holiday offically instated, as well as fighting prejudism and hate of the American Indian. Isn't it Time America Honored the "REAL" FIRST AMERICANS? The ancient ones call and we feel them around us, but we do not listen. We no longer hear the voices in the wind as the leaves and branches tell us stories. The moon brings us messages and we do not see them. We are to busy with the world created by man. Take your children back to the times when the voices were heard and the signs were given. Go back before the importance of Creation leaves us forever. 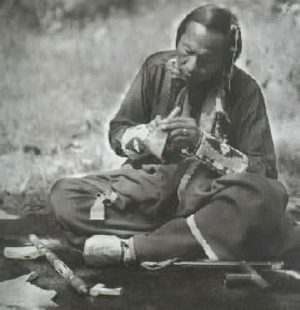 The voices of the ancestors may have been silenced by the death call but they are only a whisper away. Their music may have faded from our ears but must we let the delicate sounds of our past go with them? Our children need the teachings that are leaving us forever. Sing the words in a lullaby, whisper to them so they hear, lead them and they will follow. Never let our traditions die. Respected and revered the old ones still walk with us. They hold our hand to help us see. They still lead us and we must follow. We need not let the dreams they had for the future depart this life. This is why they honored us with their wisdom. When they leave us one by one, they take the book with them, leaving a patchwork of dreams on the web of life. What we do with the patches will help us to grow in wisdom. The Earth Mother is bountiful enough for all her children. Working together we can bring back the unique and powerful voice of our past. Grasp the insights and perceptions in the wind. The future of our children depends on our actions today. Do not let the voices of the ancestors or the echoes of their songs fade away. Found on the "United Native America".com site. Pregnant Mares, (Horses), are being Abused everyday, because of the use of a drug owned by: "Wyeth-Ayerst", (who also owns,"Fort Dodge Animal Health"), made for Women, going thru Menopause. The drug is called "Premarin". It is made from the Pregnant Mare's "Urine". The constantly impregnated mares live tethered in their stalls for months at a time, hooked up to confining collection apparatuses. 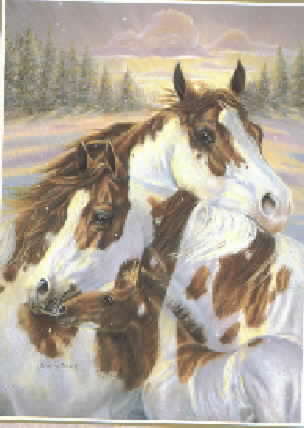 The large majority of the Foals,(babies),produced by these Mares end up at the slaughterhouse. The SAD thing about it is, that this "Artificially- Induced" drug does not even "NEED" to be made, there are PLENTY NATURAL, PLANT-BASED products available to Women and DR.s for Menopause. Please go to the link below to sign a petition, to STOP the USE of "Premarin" and STOP the ABUSE of these Horses. If you would like to learn more about alternative approaches to Menopause, please visit my "Natural Approaches To Menopause" page. 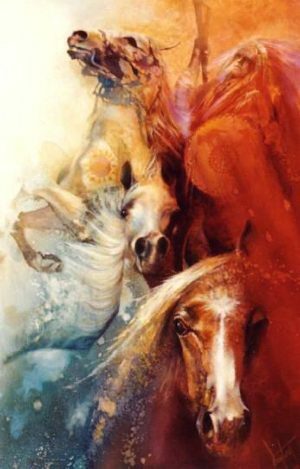 HORSES have their own MEDICINE, (or) TEACHINGS that they will share with you, "IF" you ask with the "Proper" Spirit and Intentions. "A Nation is not Conquered until the Hearts of it's Women are on the ground. Then it is done, no matter how brave its warriors or how strong its weapons." I am a Proud member of "ROAK" Random Acts Of Kindness. You may visit by clicking on the picture. Canadian Herbal remedies, tested by three major Hospitals in China, under strict supervision of "The Ministry of Health of China". This could be the solution to your "CANCER" Health problem. Copy and Paste this into your browser, to go to that site. If you or someone that you know has CANCER, this is THE PLACE TO GO! I have personally treated Many clients with this "CANCER-BUSTING" Formula, and IT WORKS!! I must WARN you, this formula IS Expensive, (anywhere from $39.00 to $69.00), But if you, or someone you know and/or Love ,has CANCER, it is WELL WORTH the price. If you or your loved one is still undergoing chemotherapy, you/they need to also be taking "CoQ10" extract or caps. With any of these herbs or formulas, you will probably need to keep taking them for a period of at-least 6 months to a year, or longer, depending on how fast they work for you and how quickly it will send the cancer into remission. You may start doing fine, and think you're over it, and mistakenly stop taking the herb(s), and find almost as soon as you do, the cancer comes back. In that case, you will have to immediately start back up on the herb(s), and stay on them for at-least one year. Most of these formulas or herbs will come with directions, but if they don't for some reason, you can contact me, and I will help. And I highly recommend that you start going to, and are followed up on, by a Naturopathic Dr or Natural Health Care Practioner. First American TV was created to answer the call of SPIRIT, to Help to FILL THE VOID. 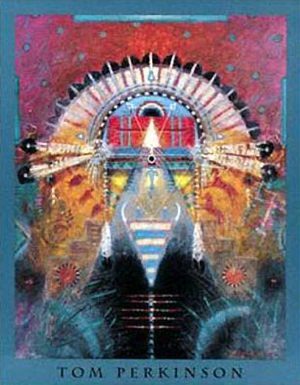 THE ABSCENCE of positive images, and TV programming that is created for, by, and features Native Americans and Indigenous peoples throughout the world, in a positive light. Join the Group, and Look for future postings on the development, and organization of FIRST AMERICAN TV. Support Rain Dance Projects by shopping at our online store. Reaching 1 million plus viewers in CHICAGO, and 51 SUBURBAN Illinois CITIES. It will then expand to netcasting, and world wide video distribution. Rain Dance Productions is LOOKING FOR ALL Types of TALENT TO FEATURE ON OUR SHOWS; CONTACT US. Rain Dance Productions is a Chicago based film, television, and video production company. WE CREATE and Are available to Film/Video Tape your next, Short or Feature FILM, Music Video, Television Program, or Commercial for your business,OR Wedding. When you click the "Give Free Food" button (once a day per person) at http://www.thehungersite.com, this simple action gives over a cup of fortified food to a hungry person. It costs you nothing. Funding is paid by site sponsors and food is distributed by two leading nonprofit hunger relief organizations: Mercy Corps and America's Second Harvest. There is enough food in the world for every man, woman and child. Yet an estimated one billion of the world's people live in poverty and face chronic hunger. 24,000 die daily. 75% of them are children under age five. A "click to give" costs nothing but a few seconds of your time, and gives help and hope to a person in desperate need.